This updated condo is quite a find... The full master bath shares a shower/tub with another half bath. New electrical panel and window blinds(2015); new dishwasher (2017); new toilet, microwave, exhaust fans in bathroom, DR ceiling fan, interior paint, carpeting, double pane windowsthroughout, A/C (in-wall unit - rated to cool ~ 1,000SF) , and roof (2018). Walk-in closets in both bedrooms. Kitchen includes full sizerefrigerator, electric stove, dishwasher, microwave and pantry. New exterior paint. A pass through between kitchen and dining room opens the kitchen to the rest of the house. A lockable storage unit is located just outside the kitchen door. Assigned carport parking, with extra spaces in the complex for guest parking. This quiet complex features: a playground, clubhouse, and swimming pool. Individual covered carport in front. Elementary and high schools within walking distance. 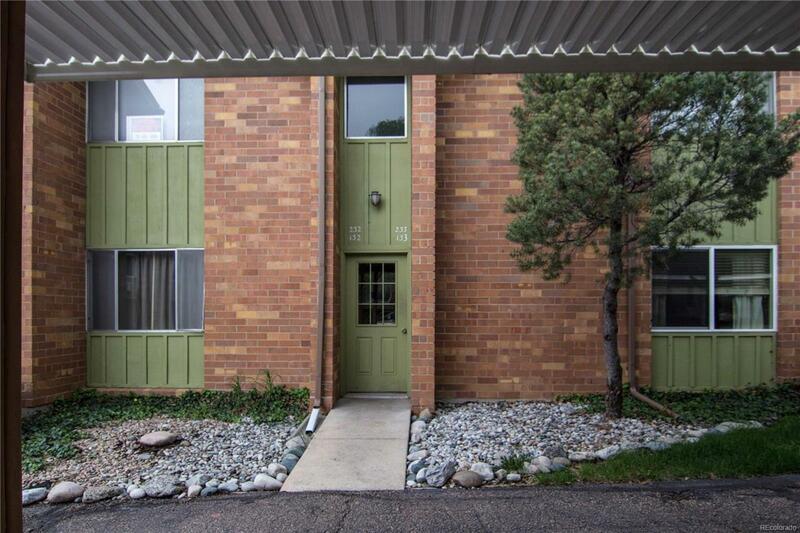 Centrally located and convenient to Peterson AFB. Association Name Primary Five Fountains Condominium Association Inc.